The mathematics courses at Village Glen High School teach students the process of mathematical reasoning, discovery, and argument. 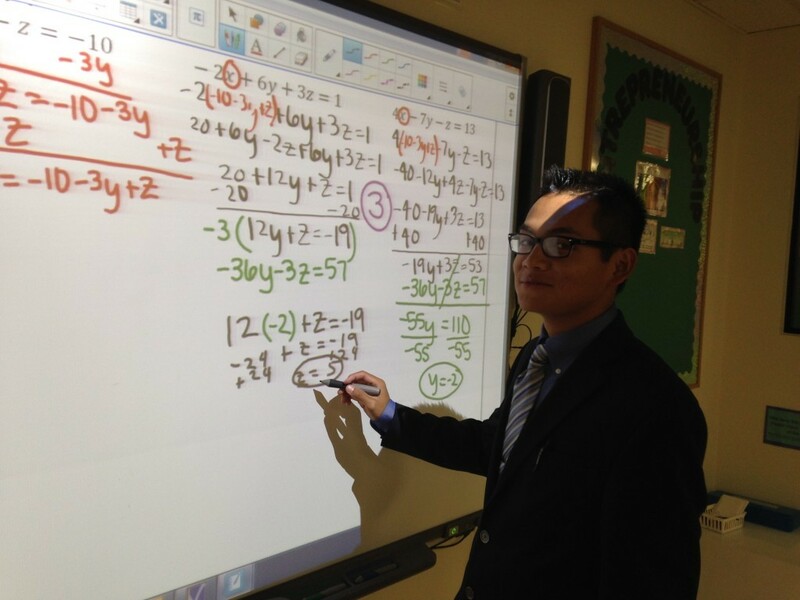 Students learn to generalize mathematical concepts and to use technology effectively and appropriately. Courses offered fit the abilities and interest levels of a variety of students. Teaching strategies and methodologies include daily warm-up exercises, homework, problem solving, discovery learning, discussion of correct as well as incorrect answers, quizzes, lectures, and discussions. Students learn to use scientific and/or graphing calculators in the application of mathematical principles in most courses. This course prepares students for their future course work in both Geometry and Algebra 2. The course covers variables, properties of addition and multiplication of variables, linear and quadratic equations, applications of linear and quadratic equations, operations on polynomials, absolute value, factoring polynomials, the Quadratic Formula, graphing equations, and solving systems of two equations. Students may also be enrolled in a four-semester two-year Algebra 1 course, depending on mathematical proficiency. This course presents and explores the properties of shapes in space and facilitates students’ development of critical thinking and visualization skills. The course covers angles and angle relationships, parallel and perpendicular lines, triangles and congruence, quadrilaterals, polygons, similarity, right triangles, three-dimensional shapes, trigonometric ratios, circles, constructions, area, and volume. Students receive an introduction to logical reasoning and indirect proofs. Concepts from Algebra 1 are reinforced as students learn to solve geometry problems with algebra. Construction tools such as a straightedge and a compass are required for this course and are provided by the school. Beyond the mathematical graduation requirements, most students elect to continue their math studies, either taking Math Prep (which offers further reinforcement of high school-level mathematical concepts and prepares students for successful passage of the CAHSEE - California High School Exit Examination), or Algebra 2 followed by Precalculus. The latter course prepares students for Calculus. This course continues the progression from Algebra 1. Students learn to solve more complicated mathematical equations while they explore various functions and relations. The course enables students to extend their knowledge of algebraic expressions and become familiar with matrices, simplifying variable equations and inequalities, linear systems, quadratic equations and functions, and graphing techniques. Precalculus, 1 year mathematics credit, prerequisite: Algebra 2, placement determined by math department guidelines aboveThis course is an introduction to the fundamental ideas of Calculus and advanced concepts including limits, integrals, derivatives and summation formulas. Other topics discussed include graphing equalities, inequalities, solving advanced polynomial functions, complex numbers, exponential and logarithmic functions. This course focuses on a holistic understanding of Precalculus concepts by relating class work and homework to real life examples and mathematical history. Long-term projects will focus on the contributions of mathematicians to modern academic fields as well as an exploration of more advanced Calculus concepts. Calculus is about the relation between a quantity and its rate of change. Topics covered include functions and graphing, limits, the derivative, applications of the derivative, integrals, and applications of integrals. This course is not an Honors course, but it previews topics from first year college calculus. The Math Preparation course further reinforces mathematical concepts covered in the high school California State Standards. The course also prepares students to take the CAHSEE by introducing them to the format of the Mathematics subtests, encouraging the use of test-taking strategies, and offering an in-depth understanding of the content covered in the exam. Specific topics include statistics, data analysis, probability, number sense, mathematical reasoning, algebra and functions, and measurement and geometry.